Today is our 11th wedding anniversary. Yep, 11 years of being husband and wife. We're thriving...mainly because we follow what's written above. Ha! Seriously, it isn't that hard to get this far simply because we know from the day we met that we want to spend the rest of our lives together. So come hell or high waters, we'll stick it out...that is if I learn how to swim before that 'high water' comes along. Happy anniversary to my dear husband! Happy 11th Anniversary to you and M! 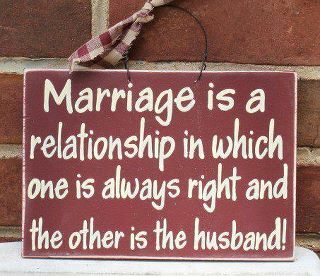 For successful marriage, just follow the rule of give and take.. the husband gives and the wife takes! Lol! Wishing you many more blessed years to come! Saan ang date? Happy blessed 11th year to you and your husband ate J.. Congrats to you both..
God bless you in your journey together. More babies to come.. hehehe!